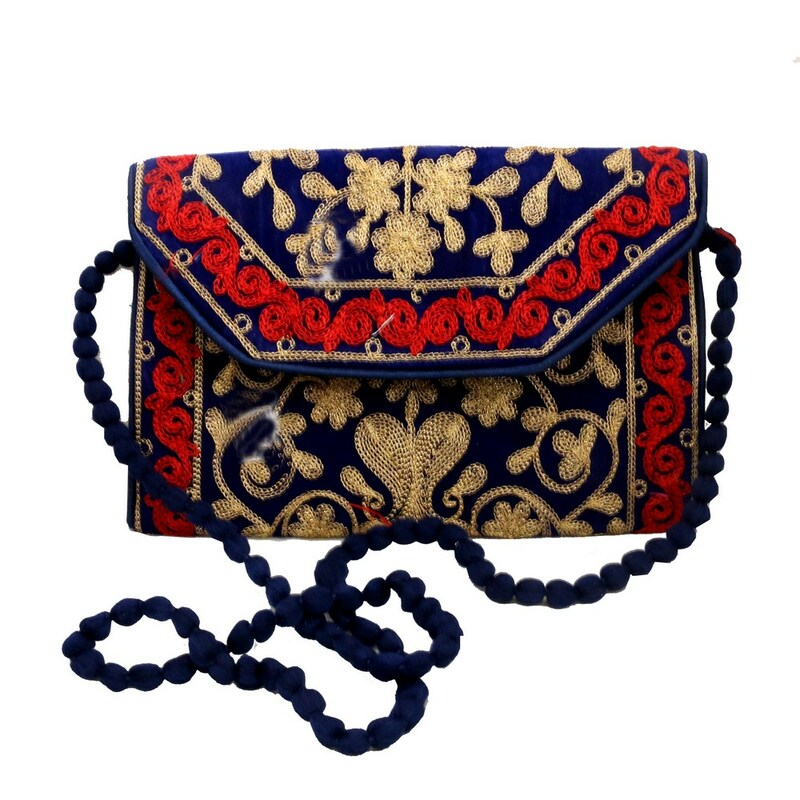 The awesome blend of blue and red colours have made this purse bag with sling look extraordinary. It looks classy nonetheless. One can carry it Read More..well with eastern as well as western outfits. It has a very prominent and neat embroidery work all over the bag. Show Less..